The "un-hiring" of Steven Salaita by the University of Illinois after his critique of the war on Gaza has sparked a campaign against academic repression. While wrapping up its annual conference last month, the American Studies Association, or ASA, announced a new effort to track what it calls “assaults on academic freedom” that include “faculty profiling,” and “hostile environments on many campuses for faculty and student labor organizing and protest.” During the convention it launched a website named Scholars Under Attack aimed at mapping out threats to academic freedom. 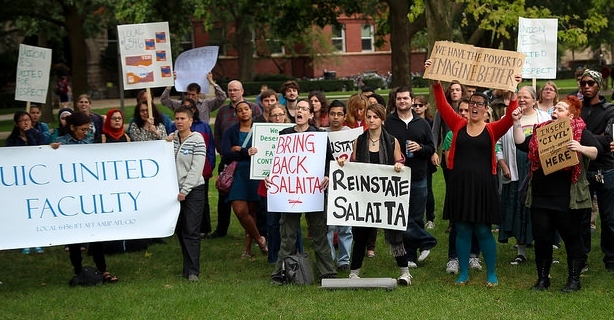 Salaita has been touring the country headlining events on political repression. “I’ve never felt more Palestinian than I did today,” Salaita tweeted on September 11, days after the University of Illinois board of trustees voted to cancel his hiring. But at the conference he was among friends. 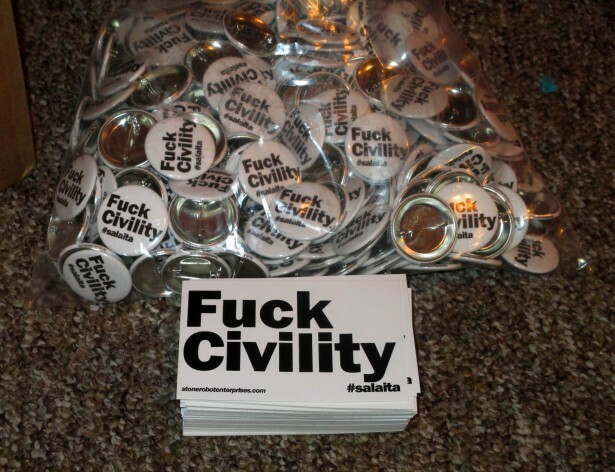 “Civility is the language of genocide,” Salaita said, pointedly addressing his detractors who called the tone of his tweets “uncivil.” “It’s a word whose connotations can be seen as nothing if not as racist,” he continued, arguing that the people who get to decide what’s “civil” or “uncivil” tend to be those with the most power and influence. Fellow panelist Rabab Abdulhadi, from San Francisco State, added that the term “pro-Palestine” is misleading. “You’re either for massacres or not,” she said, referring to the recent Gaza strikes. ASA President Lisa Duggan spent a large part of her presidential address Saturday night detailing the hate mail she and other officials had received, but said the ASA was “not surviving, but thriving” after last year’s conference, when 1,252 ASA members voted on a boycott of Israeli academic institutions as an act of solidarity with Palestinians living under occupation. With 66 percent of the vote in favor, the ASA became the largest academic organization in North America to do so. 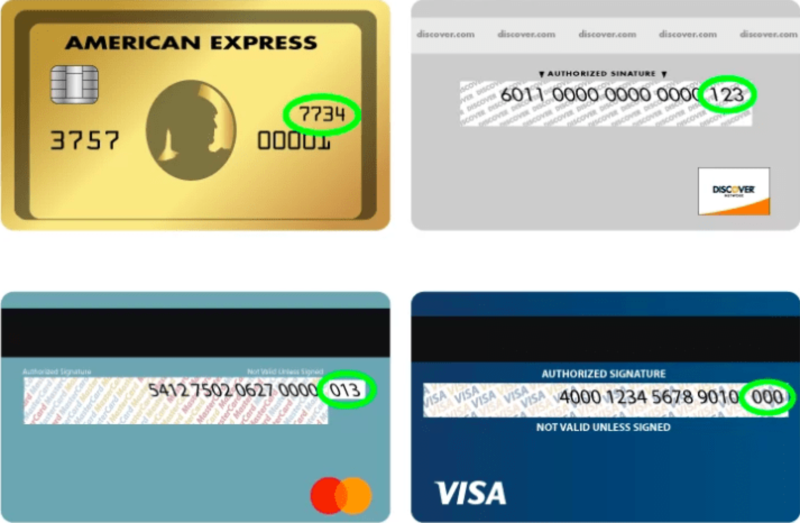 In the wake of the vote, the group gained over 1,000 members. Other organizations, including the Association for Asian American Studies, the Critical Ethnic Studies Association and the Native American and Indigenous Studies Association, have also established boycotts. The boycotts follow the tradition of those promoted by activists during South African apartheid. Long before the bloody Gaza raids that started last summer, South Africa’s post-apartheid ruling party called the treatment of Palestinians under Israeli rule “worse than” the racism experienced by black people under South African apartheid. Back in 1983, South Africa-born professor Fred Dubé asked his class at New York’s Stony Brook University to consider whether Zionism was a form of racism. According to the New York Times, an Israeli visiting professor wrote a letter to the university calling Dubé’s class anti-Semitic. Dubé drew criticism from Jewish organizations and even Gov. Mario Cuomo. Eventually, Dubé was denied tenure. More recent examples of branding professors as anti-Semitic in an apparent move to punish them for criticizing Israel include the ousting of Thomas Abowd and Norman Finkelstein from Wayne State and DePaul universities. Supporters alleged, and the universities denied, that donor influence played a part in their “forced” resignation from the colleges. Student activists have also been targets for their criticism of Israel. In 2010, Muslim students from the University of California Irvine protested an on-campus speech by Israeli ambassador Michael Oren. Facing up to a year in jail on misdemeanor charges related to the disruption of the event, the so-called Irvine 11 were sentenced to fines, three years of probation and 56 hours of community service. The ambassador’s right to speak without interruption, the court found, trumped the free speech of the protesters. Sunaina Maira, a professor from University of California Davis who recently co-edited a book on academic repression called “The Imperial University,” cites the increasing corporatization of universities as the main cause for the suppression of these professors and students. 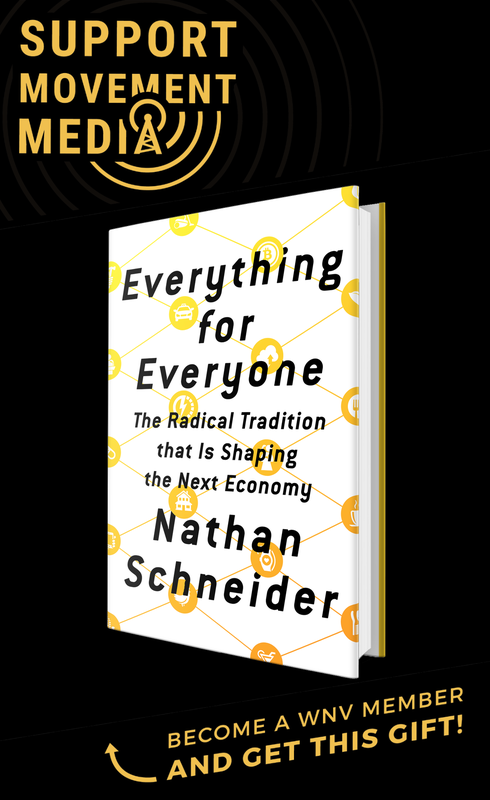 “There’s a shift toward contingent labor,” she said, with adjunct instructors with little job security teaching the majority of classes, “as well as toward unaffordable tuition.” Issues like lack of tenure and piles of student debt make it all the more precarious to speak out on controversial issues, she argued. In a late July statement University of Illinois chancellor Phyllis Wise said that Salaita wasn’t blocked for his political views, but because of his “personal and disrespectful words or actions” that demeaned other viewpoints and people expressing them. San Francisco State ethnic studies professor Rabab Abdulhadi, who was also accused of anti-Semitism and joined Salaita on the ASA panel, was luckier than him; she kept her job. After an October 28 teach-in on academic freedom at San Francisco State the Palestinian professor received death threats after the commemoration of a mural of Palestinian philosopher Edward Said on campus. “It was an entire smear campaign to make me lose credibility,” she recounted. AMCHA supporters contacted the university, saying that Abdulhadi was “promoting terrorism,” and called for her to be fired. But some faculty and student groups — such as the Movimiento Estudiantil Chicano/a de Aztlan and the Native American Student Kouncil of InterTribal Nations — supported Abdulhadi. After seven months, the school’s administration joined them in officially finding “no merit” in accusations that Abdulhadi had improperly used school funds in her travels to Palestine. “San Francisco State University will continue to respect academic freedom, and we will not censor our scholars nor condone censorship by others,” its press office wrote. But Abdulhadi said the damage was done: a second planned trip to Palestine was revoked by the school’s provost, Sue Rosser, who told her that security concerns were the reason for the travel denial. In addition, Abdulhadi said that two promised tenure-track professor hires in her department have yet to materialize. Ellen Griffin, associate vice president of university communications said the college remains “deeply committed” to defending academic freedom on campus. But the Zionists include some who would, unlike McCarthy, otherwise be considered progressive. Cary Nelson, a University of Illinois professor who kept tabs on Salaita’s Twitter account and, according to the progressive Jewish blog Mondoweiss, brought his Palestine-related tweets to the attention of the university administration, has been one of Salaita’s most zealous critics. But over the phone, Maira argued that it’s a contradiction in terms to be a progressive Zionist, especially after the recent lopsidedly violent strikes on Gaza. “It’s impossible to think of a Zionist who can be ‘good’ on gay rights, or women’s rights but yet support the colonialist policies of Israel,” she said. Many in the movement for Palestinian human rights see this string of recent events — Salaita’s firing, the censuring of the Irvine 11, claims that Abdulhadi “promotes terrorism” — as repression resulting from Islamophobia. Layanne Hazim, a student at George Mason University and a member of the campus group Students Against Israeli Apartheid, organizes actions such as a recent coordinated walkout during an Israeli soldier’s speech on campus that was sponsored by the pro-Israel Committee for Accuracy of Reporting of the Middle East in America. Press outlets such as the Washington Post picked up the story, repeating the discrimination claim, which led the ASA to release its own statement. Maira admits that this kind of lobbying has had a “chilling effect” on action around Palestine in U.S. academia. But she also said she believes that the targeting of academics who speak out about Palestine has backfired. “After the blacklist, faculty really banded together,” she noted. Professors are starting to form branches of Faculty for Justice in Palestine groups to support Palestine student groups. A big strategy of the campaign to boycott Israeli educational institutions is just to raise the issue of Palestine, Maira explained. If that’s the case, it’s already working: discussion of the U.S. academy and Palestine have flooded academic blogs and mainstream publications like The New York Times. The story is even bigger in the Middle East: During Abdulhadi’s most recent trip to Palestine, she spoke with just-released Palestinian prisoners who had gotten word of the ASA’s boycott resolution while behind bars. 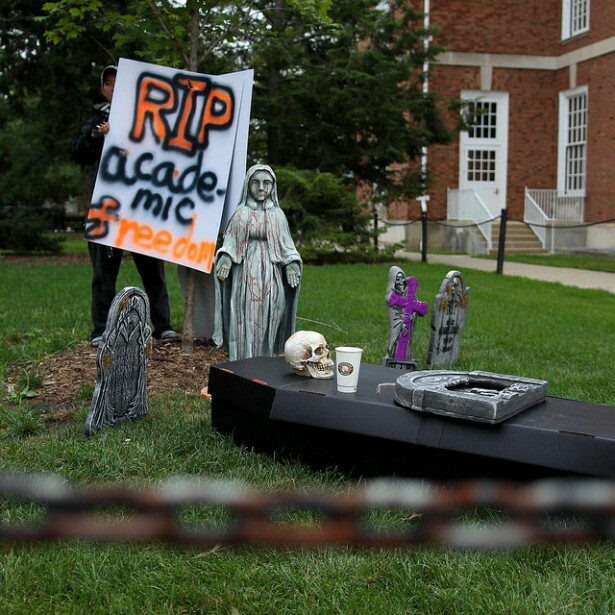 The struggle for academic freedom in the United States is not new. In 1969, a young professor at UCLA gave a lecture at the university’s Royce Hall. Soon after, she was fired when then-governor Ronald Reagan, who was supported by President Nixon, took issue with her communist politics. That professor was Angela Davis, the philosophy scholar and black power icon. In 2014, four decades later, Davis returned to the classroom that she famously lectured in 40 years earlier to give another lecture, this time as a University of California professor emeritus. It was also the year she signed a letter supporting Steven Salaita’s right to academic freedom. 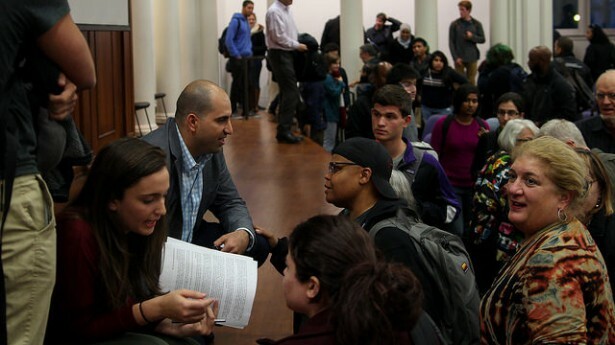 Represented by the Center for Constitutional Rights and a Chicago law firm, Loevy & Loevy, Salaita is preparing to sue the University of Illinois in federal court to get his job back. A petition put out by friends and supporters asking the university to reverse its decision quickly gained 20,000 signatures, including hundreds of faculty, students, alumni and parents. Fourteen university departments voted “no confidence” in Chancellor Wise’s ability to lead. Prominent academic groups like the Modern Language Association have voiced support for Salaita, and the American Association of University Professors Foundation awarded Salaita its Academic Freedom Fund. On November 4, a coalition of legal organizations including the Asian Law Caucus and the National Lawyers Guild sent a letter to more than 140 universities cautioning that the stifling of free speech around Palestine could bring lawsuits. 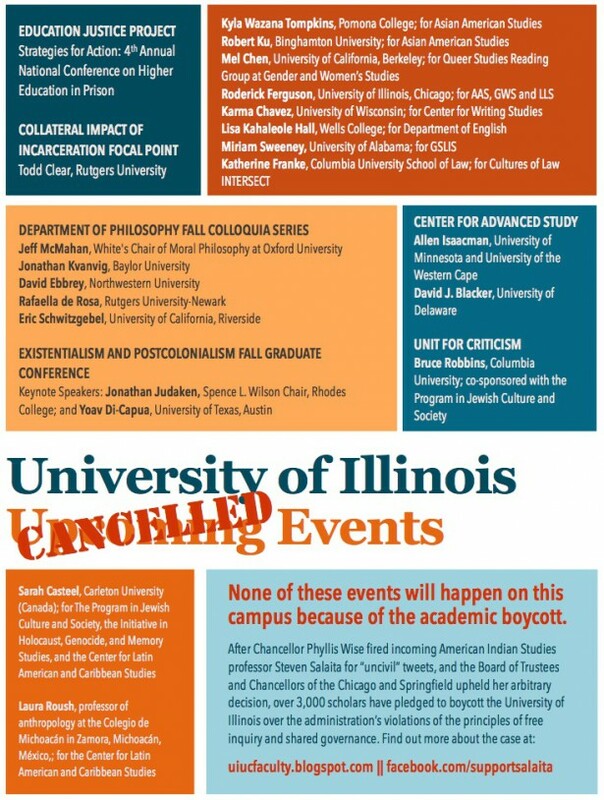 Several thousand professors from across the country have committed to boycotting the University of Illinois at Urbana-Champaign until it reverses its decision. Organizations have cancelled conferences and individual professors have cancelled lectures, releasing public statements in defense of academic freedom.